Chip Somodevilla/GettyU.S. President Donald Trump (2nd L) welcomes members of his American Technology Council, including (L-R) Apple CEO Tim Cook, Microsoft CEO Satya Nadella and Amazon CEO Jeff Bezos in the State Dining Room of the White House June 19, 2017 in Washington, DC. Facebook,Apple,Netflix, and Google are high up on the list of S&P 500 companies that investors added the most notional amount of short interest to this year. They’re also among the most heavily shorted right now, according to S3 Partners, a data analytics firm. Short sellers defied the tech rally and increased bets for sell-offs even while they were losing money. The so-called FANGS – Facebook, Apple, Netflix, and Google – helped drive the S&P 500 to what’s set to be its best year since 2013. But they have also attracted a swarm of short sellers. These are traders who borrow shares, then sell them in the hope they will become cheaper so they can buy them back at a lower price and pocket the difference. 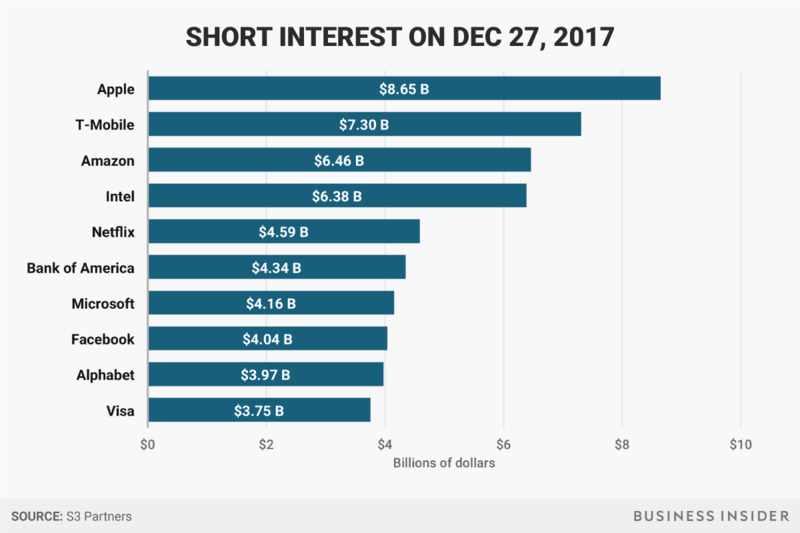 All the FANG stocks are high up on the list of S&P 500 companies that investors added the most notional amount of short interest, which represents outstanding shares that have been sold short, from January through December 27. This year through Thursday, Facebook was up 55%, Apple was up 48%, Netflix was up 55%, and Google was up 36%. This kind of run-up is perhaps part of the reason why some traders are betting on a reversal. It wasn’t surprising that the best-performing stocks in 2017 also drew the most downside bets. What was surprising, S3 Partners noted earlier this year, was that short sellers showed defiance by increasing their positions while their losses mounted. One analyst who’s sceptical of the FANGs going in 2018 is Tom Lee, the cofounder of Fundstrat. “We continue to like technology, despite its substantial outperformance in 2017, but we see the performance driven more by non-FANG stocks,” he said in a recent note. One red flag, he said, is that the FANG rally has them left those stocks with an expensive price-to-earnings ratio near 46. It’s worth mentioning that shareholders have been willing to overlook this kind of valuation for big tech; Amazon, for example, is trading at nearly 300 times earnings. 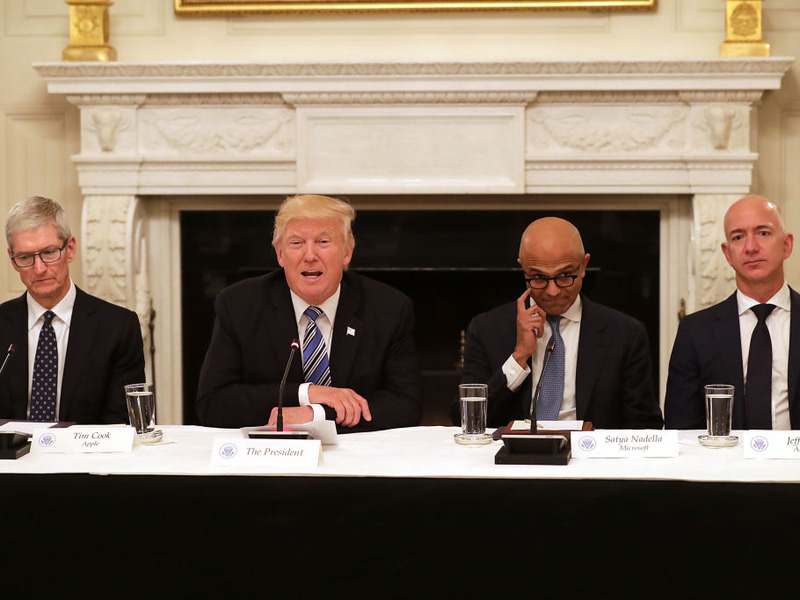 But there’s also the repeal of net neutrality, which means that internet service providers will be able to charge customers more for the services (like Netflix and YouTube videos) they help deliver. It’s “ultimately a shift in cost sharing – as those networks sending downstream traffic (to end users) need to potentially compensate telecom/cable networks for traffic imbalances,” Lee said. Many analysts do expect that the FANGs would continue to rally in 2018, driven by earnings growth and a potential windfall from repatriated cash thanks to tax reform. 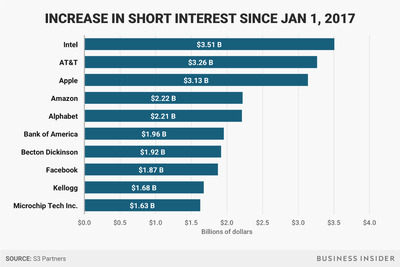 That would mean another painful year for short sellers.